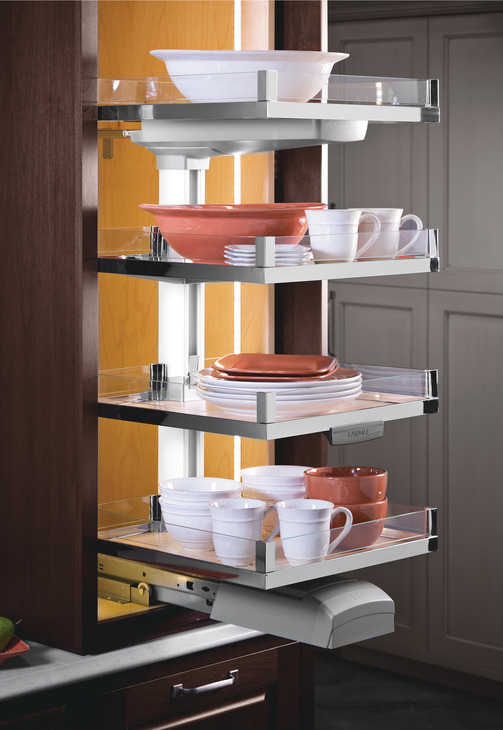 Optional to add individual trays – recommended to use 5 trays for pantries from 57” to 77” and 6 trays over 77”. 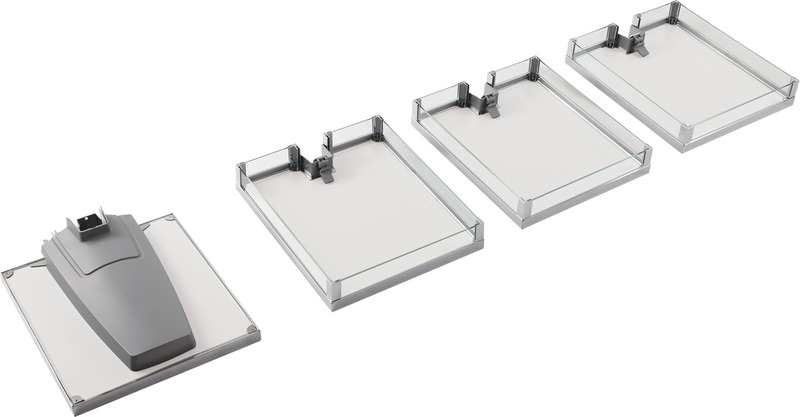 Required to order 1 tray set, additional individual trays can be ordered separately. Tempered glass sides come standard and are removable. Width dimensions are actual tray widths.